Use this updated guide to plan your schedule for the NGS Conference on May 7 - 10, 2014. As the conference gets closer I will post the sessions I am looking forward to attending. I'll see you in Richmond! Would you like to learn research skills from some of the experts at he New England Historic Genealogical Society? Did you know they have how-to videos, archived webinars, and recorded lectures available free on their website? NEHGS is expanding their online educational programs and have a variety of presentations on research subjects as well as using the NEHGS website. Get the Most from NEHGS . . . from Home! Have you registered for the NGS Family History Conference in Richmond? The deadline for the early bird discount and ordering a print syllabus is 24 March 2014. After that date, the NGS member price will increase from $195 to $230 for all four days, the non-NGS member price will increase from $230 to $265, and only the flash drive syllabus will be available. You really don’t want to miss this year’s exciting conference program from 7–10 May at the Greater Richmond Convention Center and Richmond Marriott. For conference information and to register, go to http://conference.ngsgenealogy.org/attend/. Participating organizations sponsor several luncheons during the conference, and the NGS Banquet is an event not to be missed! Registration for all meals and social events closes on 24 April 2014. Tickets for social events will not be sold on-site. Make your reservations now at http://conference.ngsgenealogy.org/attend/. The NGS First-Timers Breakfast is $24; luncheons are $32; and the banquet is $51. Menus are in the registration brochure at http://goo.gl/MUoVEp. On Wednesday evening 7 May 2014, many Virginia genealogical and historical societies will be available in the Richmond Marriott from 5:15 p.m. until 7:00 p.m. to answer questions about local repositories and resources, discuss their group’s activities, and sell their publications. There’s still time to sign up for several exciting tours through Richmond Discoveries on Monday, 5 May, and Tuesday, 6 May 2014, prior to the NGS Family History Conference. For more information, please see http://conference.ngsgenealogy.org/program/local-tours/. Registration for the tours closes on 1 April 2014. To add meals to your current registration, log on at http://www.ngsgenealogy.org, click on My Account, select My Events, and then click to Add Sessions. To add pre-conference events, click on My Account and then select Upcoming Events. We hope to see you in Richmond in May. Frommer’s recently placed Richmond on its list of Top Destinations for 2014, and the city is just one of three US destinations listed. These are not lectures, but online roundtable discussions where APG members can ask questions and share advice. They are hosted by experts and are a great way to learn about these topics. APG members have been sent an email with log in instructions. If you are not yet an APG member, this is one more benefit of membership. The dates, topics and discussion group leaders are listed below in the announcement from APG. We are pleased to announce eight new upcoming APG Discussion Group Meetings. These meetings are open to all APG Members with no pre-registration and are a unique way to learn from and network with your colleagues. The access instructions for each discussion group can be found below, as well biographies of each Discussion Group leader. The meeting room will open 15 minutes prior to the scheduled starting time and holds a maximum of 25 attendees. Therefore, access will be on a first-come, first-serve basis. The Discussion Groups are meant to be discussions on a particular topic, not lectures or webinars. It is through the give and take of these discussions that the best learning experiences will occur. Please come prepared with your questions. If you have any questions, please contact Melanie D. Holtz, CG at Melanie@holtzresearch.com. We hope you enjoy the sessions! Amy E. K. Arner specializes in Western Pennsylvania research and editing. She serves on the APG Board of Directors and previously was the president of the Great Lakes Chapter. In 2013, the Association of Professional Genealogists awarded her a Certificate of Appreciation for her service to the organization. Craig Roberts Scott, MA, CG, FUGA is the President and CEO of Heritage Books, Inc. A professional genealogical and historical researcher for more than twenty-nine years, he specializes in the records of the National Archives, especially those that relate to the military. IGHR, SLIG and GRIP Military Course Coordinator. Michael Hait, CG, is a full-time professional genealogist, with over fifteen years of research experience across the United States. His specialties include Maryland research, African American genealogy, and records of the U. S. Civil War/Reconstruction era. Michael is a frequent contributor to genealogy magazines and journals, and a popular lecturer. For more information on Michael's available services, visit http://www.haitfamilyresearch.com. Harold Henderson, CG has been a professional writer since 1979, a professional genealogist since 2009, and a board-certified genealogist since 2012. 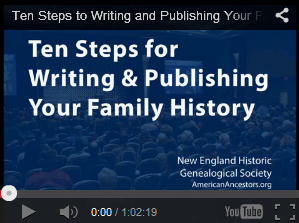 He has published over 1300 blog posts and more than 50 articles, including several in the National Genealogical Society Quarterly and American Ancestors Journal (annual supplement to the New England Historical and Genealogical Register). A professional genealogist for the last twenty-five years, Kelvin contracts with law firms, banks, and energy companies as a forensic genealogist. He also searches for missing or unknown heirs to estates and to oil and gas leases. As a board member of the Council for the Advancement for Forensic Genealogy (CAFG), Kelvin lectures at the Forensic Genealogy Institute held by CAFG. He has been a guest lecturer at the Institute of Genealogical and Historical Research at Samford University and will return this summer lecturing in the Trans-Mississippi tract. Cathi is a full-time professional genealogist and the current APG Vice-President. She also serves on the board of the Council for the Advancement of Forensic Genealogy and coordinates its mentor program. Cathi locates missing or unknown heirs and works on U.S. Army military repatriation cases, finding next-of-kin and family DNA donors for MIA soldiers from past wars. She is an instructor at the Forensic Genealogy Institute and the Genealogical Institute of Pittsburgh. Melanie is a full-time professional genealogist who specializes in Italian and Forensic Genealogy. She has worked on over 200 dual citizenship cases and researched U.S. Army military repatriation cases. Melanie is a member of the APG Board of Directors, the Vice President of the North Carolina Chapter, and serves as Chair of APG’s Professional Development Committee. 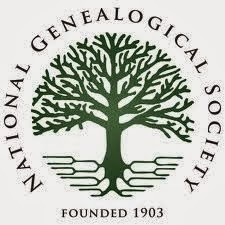 I am excited about this announcement from the National Genealogical Society! I knew they were planning to offer live streaming of two conference tracks, as the time of the lecture I am giving at NGS was changed to accommodate the scheduling, but I could not say anything until the announcement was made public. If you are unable to travel to Richmond for the NGS conference this May, you can now participate in a portion from home. NGS announces the live streaming of ten lectures from the NGS 2014 Family History Conference, which will be held 7‒10 May 2014, in Richmond, Virginia. The upcoming conference will be the first time NGS has provided a portion of the conference to NGS members and others across the United States and overseas who are unable to attend the conference in person. Track One: Records and Research Techniques can be viewed on Thursday afternoon, 8 May 2014, and Friday morning, 9 May 2014. Join the conference from home and learn about best practices and research sources. Track Two: Virginia Resources and Migration Patterns can be viewed on Friday afternoon, 9 May 2014, and Saturday morning, 10 May 2014. Learn about Virginia’s records and her people who moved south and west to new lands pushing the frontier ever forward.